ARK update 259 for PC will roll out soon. The new major update brings new features and Changes to the game. New Crafting Skill replaces crafting speed. Crafting Skill increases crafted item quality by 33% for 100 points into Crafting Skill. The item then displays your name and your tribe name and indicates what percent bonus you received when crafting. The update includes new Corpse Locator Upon death feature. A beam of light shoots into the sky to help the player locate where they died. Enabled on Official Servers by default. Check out complete changelog below. New Skill: Crafting Skill! Replaces Crafting speed. Crafting Skill increases crafted item quality by 33% for 100 points into Crafting Skill. The item then displays your name and your tribe name and indicates what percent bonus you received when crafting. New Host Option: Disable Structure Placement Collision! Unofficial Servers and single-players can enable this feature to allow them to place structures that clip into terrain. Add bDisableStructurePlacementCollision=true to your Game.ini for server use. New Host Option: Use Singleplayer Settings! When enabled, this edits all game settings to be more balanced for an individual player experience. Add bUseSingleplayerSettings=true to your Game.ini for server use. New Host Option: Fast Decay! Enable this option for a fixed constant decay period for “Fast Decay” structures (such as pillars or lone foundations). Add FastDecayInterval (default is 43200) to your Game.ini for server use. * ARK update 259 for PC fixed graphical issue with crops appearing massive. * Fixed player ragdolls becoming malformed when falling from great heights. * Fixed player getting stuck in rocks/trees/structures when logging out in single player. * Fixed dino spawning issues in single player that caused over-spawning of certain creatures over time and issue where spawns were becoming depopulated. * Fixed single player settings via the slider from resetting. * Fixed BabyCuddleIntervalMultiplier setting via the host menu. * Fixed traps not working after a game/server restart (bear traps, species Y traps, narcotic traps, alarms). * Fixed various lighting issues on The Island and The Center. * Fixed low landscape LODs on both the Center and the Island when using low viewing distance (certain landscape will stream in better quality from further away, e.g. skull island on the Center). * Improved war paint on female model around the hairline. * ARK update 259 for PC fixed issue where player appeared to be floating above the saddle when boarding a dino while crouching. * Fixed electrical cables appearing unpowered when reloading a single-player game. * Fixed issue where logging out in single-player while holding a shield showed the player holding two shield on relog. * ARK 259 fixed Explorer Note sorting. * Fixed ATV from repeatedly honking when leaving and entering render distance. * Changed the Tribe Manager to have Tribe Log highlighted by default when using a controller. * Fixed grappling hook being enlarged when shooting at a Large Storage Box. * Colorized boss health bars to indicated boss difficulty. * Added featured to allow players to set the light level of their lamps. * Changed static mesh of Plant Species X to remove swaying and firing animation to reduce client FPS drops. * Added on-screen indicator icon when structure placement is in rotation-mode. * Fixed issue where the cooking pot provided infinite dye. * Buffs that prevent firing (such as the shock buff) now cause the player to lower their weapon. * Made Alt-Fire on the paintbrush now “Paint Yourself”. 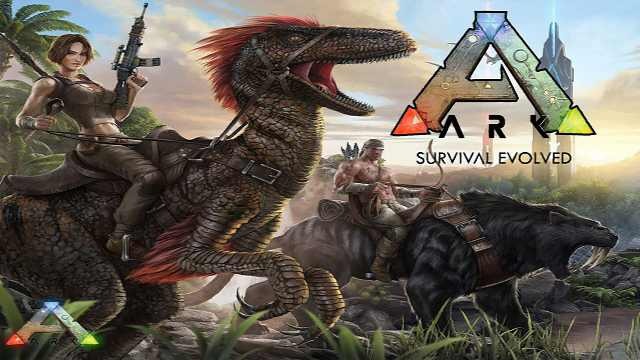 * ARK update 259 for PC added new live versions of all in-game music. * Fixed issue in singleplayer where logging out with a tool equipped caused the inventory to lock up. * Implemented kill zone under the sea floor. * ARK 259 fixed Supply Crate SFX to always be audible. * Fixed issue where respawn animation was not playing in singleplayer. * Added new music stingers when you tame a creature. * Increased range of boss music in the arenas. * Obelisks in singleplayer/non-dedicated now have each boss spawned from a specific obelisk and transfers can only be done via the obelisk. * Days are now 25% longer. Night time remains unchanged. * Tribe ownership settings now default to Personally Owned in singleplayer/non-dedi. * Fixed issue that causes sitting on a chair on a platform saddle not to calculate player temperature and location appropriately. * ARK update 259 for PC fixed issue where being unconscious would cause the player not to receive lava damage. * Tek rifles now stop working in thunderstorms. * Homing rockets no longer target your own turrets. * Mindwipe tonic can now only be applied once per level up. * Stat decrease of blueprints from fishing. * Reduced max fish size that is catchable with a fishing rod with: Honey to 2.2, Leech Blood to 1.88, and Sap to 0.94. * Reduced fishing rod effectiveness by 35%. * Increased Liopleurodon loot quality buff by 20%. * ATV engram is available in singleplayer after reaching max ascension. * Fixed issue where walking through electrical cables and pipes would cause the camera to move around in unintended ways. * ARK survival evolved 259 fixed issue where feeding trough was not updating spoilage timers. * Fixed issue where the player could get stuck inside doors by closing the door on themself. * Removed boss arena and Tek Cave timers in non-dedicated. * PVE no-build functionality has been removed from non-dedi. * Slightly increased difficulty of the Cavern of Lost Faith. * Prevented regular dinosaur gateways from supporting behemoth gates. * ARK update 259 for PC added final statted items to loot crates. * Fixed canvas not being visible when placed on Tek walls. * Added lots of crystal, obsidian, and rich metal to all caves except the Tek Cave. * Re-added metal to the volcano, approximately 70% of its previous resources. * Added categories for maps in the host menu. * Added an alternate engram points per level array to non-dedi. * Fixed issue where wooden cages would heal themselves when picked up. * Fixed issue where player could wield a riot shield and chainsaw at the same time. * Re-balanced speed gained per player level up. * Fixed not being able to sit in chairs/benches when placed too close to a table. * Increased radius of house buff by double. Also flagged gate frames as walls which allows them to give the indoor buff. * Fixed issue where dinos placed in cages would float upwards and glitch out of the cage. * ARK 259 fixed an issue where players could not walk inside of fallen redwood trees. * Corrected specimen implant colors after ascending. * Obelisks now save inventory in singleplayer. * Reduced Club effectiveness scaling with quality by 55%. * Fixed issue where dino attacks could not do damage under low server FPS. * Fixed the dino fleeing mechanic so that dinos should no longer run into walls endlessly. * ARK survival evolved 259 fixed the dino fleeing mechanic so that dinos should attempt to run towards the player and not towards water, previously causing them to torpor out in water and drown. In the case where the dino cannot reach the player, it may still end up running towards water via picking a random direction. * Fixed issue with Thylacoleo, Kaprosuchus, Megalosaurus, and Tuso where when attacking, the creature was able to force the target under world geometry and make them unrideable/unmovable. * Rebalanced speed gained per tamed level up on all dinos. * ARK update 259 for PC fixed issue where unconscious player could be pushed through terrain by a Kaprosuchus. * Fixed issue where Tuso could grab through Iceberg geometry. * Fixed issue where babies were consuming less food when floating. * Fixed issue where babies were consuming more food than intended as they tried to regain health. Regaining health no longer costs food for babies. * Changed all creature names to use their long form. * Made Troodons scared of light sources. * Raised Ptero saddle level requirement to 38. * Added damage scalers to Trike and Stego which makes them more resistant to damage. * Increased Parasaur stamina by 50% and increased its speed in water. * Increased Angler light radius underwater. * Decreased amount of fall damage for tamed Giga’s. * Made Moschops easier to tame. * Increased insulation ability of Dimetrodon. * ARK 259 fixed fur cap on Mesopithecus. * Fixed Santa hat on Gallimimus. * Fixed alignment of metal water taps on pipes. * Rebalanced Equus saddle cost. * Reduced the gather rates of the Therizino. * Reduced base damage of wild and tamed Gigas. * ARK survival evolved 259 fixed issues with Ovis and Kentro where their baby/egg would fall through the floor. * Creatures will no longer drown when they are encumbered. * Fixed an issue where fish did not appear in Lower South Cave (Cave 1). * Removed piranha spawns from the shallow pools in the redwoods. * Decreased wild Carno damage by 15%. * Reduced Terrorbird spawns in the redwoods. * Removed Titanosaur spawn from Herbivore Island. * Fixed issue where beehives were stacking on top of each other. * Wild Ichthyornis HP reduced by 50%. * ARK update 259 for PC added HUD notification for Pegomastax when it is not pickpocketing. * Added HUD message for Ichthyornis stealing, and for Ichthy making you drop your weapon. * If a tamed Yutyrannus has carno followers, the followers now properly attack the same target. * ARK 259 fixed issue where riding on a Phiomia/Carbonemys caused the players size to increase by twice the normal size. * Added functionality to allow the Gigantopithecus to gather fiber using the ‘C’ key. * Added cooldown to Tuso so that it’s ink ability cannot be spammed. * Increased Trilobite spawns to be more common in shallow areas. * Made it so that Fertilized eggs do not count towards the egg count in the given area. This was causing fertilized eggs to be laid and the dino to go on breeding cooldown but no actual egg was laid. * Increased unstasis range on Trilobites, Eurypterids, and Ammonites. * Deep Ocean Coel added, with increased unstasis range and bias towards being larger sized. * Land creatures now only receive 50% of their regular additional speed increase while swimming (does not include Spino or amphibians). * ARK survival evolved 259 fixed dung beetles not processing fertilizer correctly after server restart. * Prevented Pegomastax from attacking when the player has nothing it can steal. * Added 30s cooldown after the player is stolen from unless the player attacks the Pego, in which case it will ignore the cooldown. * Prevented Pegomastax from robbing same-team. * Fixed issue where passive tames would not resume eating after being knocked out and eventually starve. * Increased SFX distance for Ichthyornis and Hesperornis. * FARK 259 fixed the Egg Hatching bar from disappearing in singleplayer when relogging. * Fixed issue where torpor stat for newly tamed dinos was not displaying correctly. * Fixed issue where stasis was greatly reducing the food consumption of dinos (specifically babies). * Hyaenodon taming now scales properly with taming server settings. * Reduced turning speed of tames by 0.5s their current speed when they are in combat, so creatures like the Manta and Ptero can turn fast enough to properly attack. * Enabled pack buff to tamed Kentros. * Increased duration of Giga roar. * ARK update 259 for PC fixed Quetzal platform not being paintable. * Added missing eating animations and sounds for creatures (should all have a proper animation now!). * Prevented baby Thylacoleo’s from spawning on redwood trees when born. * Improved landing AI for Quetzal and Wyvern. * Fixed an issue where flyers out of stamina would not auto-land and would get stuck in the air. * Fixed Megalosaurus breeding to prevent babies from needing/going to sleep. * ARK survival evolved 259 fixed Thylacoleo from always roaring when coming out of stasis. * Fixed Thylacoleo from assuming a “superman” pose when jumping on a surface it couldn’t climb. * Fixed Thylacoleo from getting into a state where it would walk forward without player input. * Fixed server crash caused by Thylacoleo. * Reduced tail collision on medium and large creatures. * Fixed babies from ‘growing’ into the ground over time as they aged. * Improved logic to minimize Sarco tails from gravitating towards ceilings. * Fixed Move To whistle command to work after dismounting a dino if the dino is in a group, also now plays proper animation. * Fixed the player from taking damage while riding on a Griffin in singleplayer. * Added Griffin icon and level up animation. * Fixed the spyglass not functioning properly while flying on the Griffin. * Fixed issue where the Griffin gained unintended speed when equipping a weapon. * ARK survival evolved 259 fixed an issue where dinos could aggro turrets even though no damage was being done. Recently, developers also released ARK 509.1 update for PS4. We’ll post more details once the update goes live.